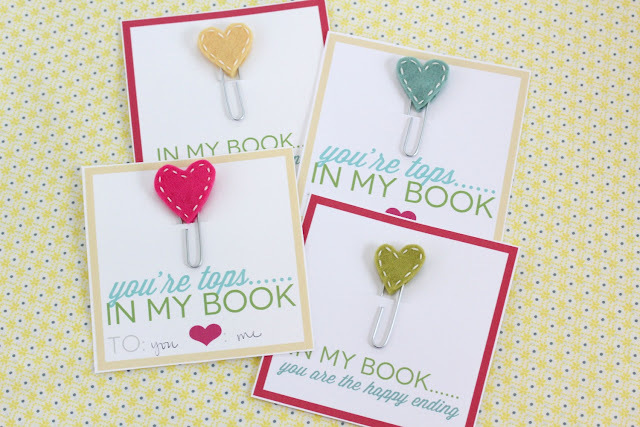 They are really easy and quick to make. 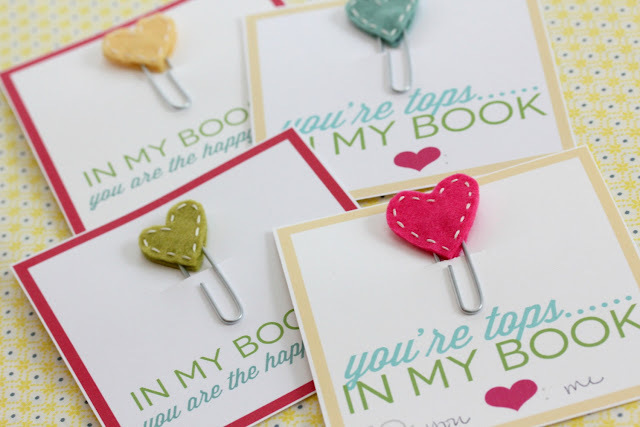 Read on to see how I made these sweet little bookmarks. 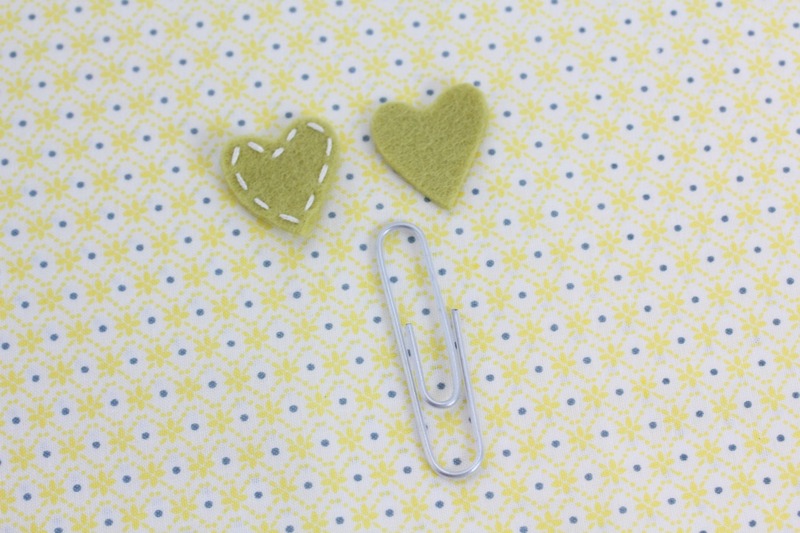 Start by drawing your shape onto felt. 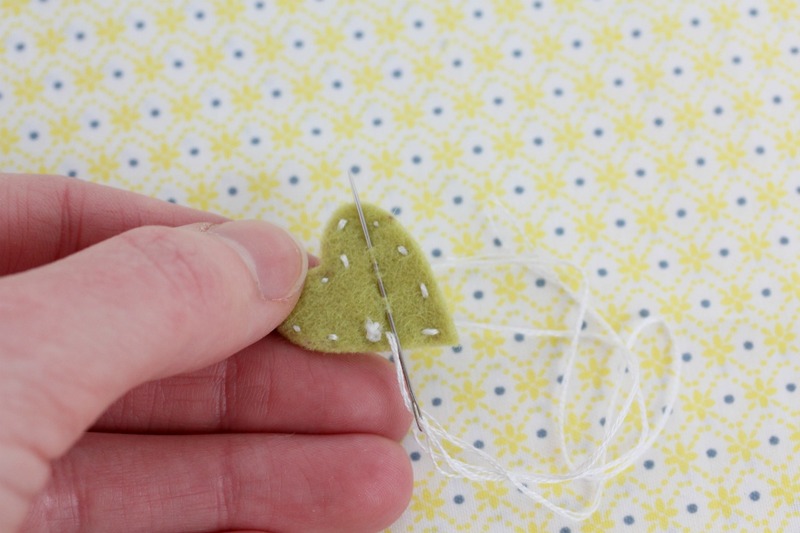 To help keep the felt in place while cutting, use a straight pin to stabilize the two pieces. 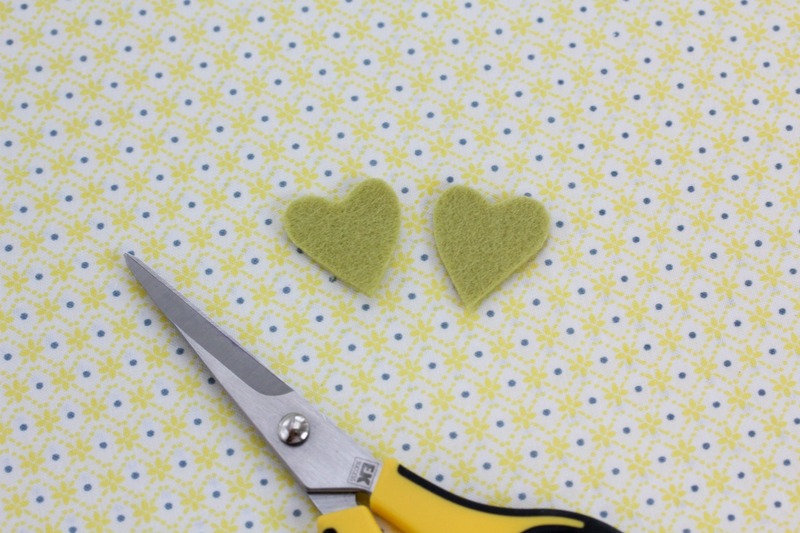 Now that your felt hearts are cut out, it is time to stitch. Stitch a running stitch along the perimeter of the heart. It is the simplest stitch – just up and down through the felt. 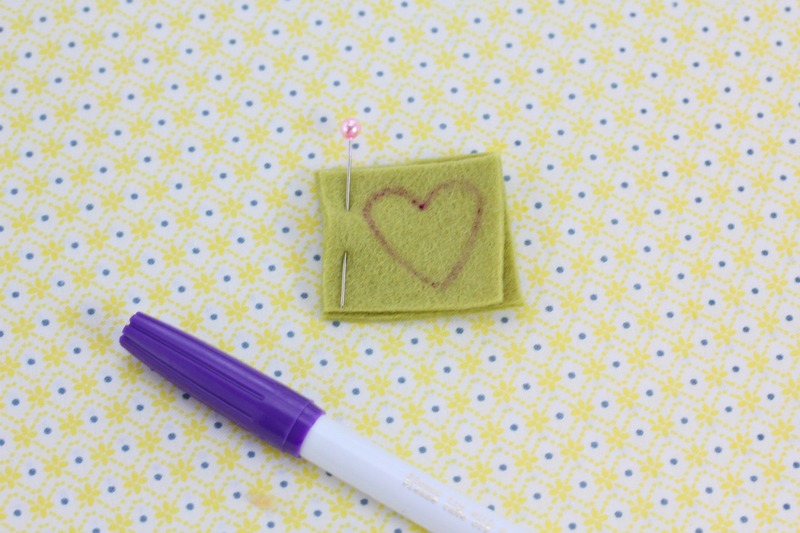 Once you stitch all the way around, you can secure your thread by running your needle along the very top of the felt, pulling though and cutting off the excess. You will be gluing the heart down with hot glue, so you don’t have to worry about this string coming out. Now that the stitching is done, you can glue the bookmark together. 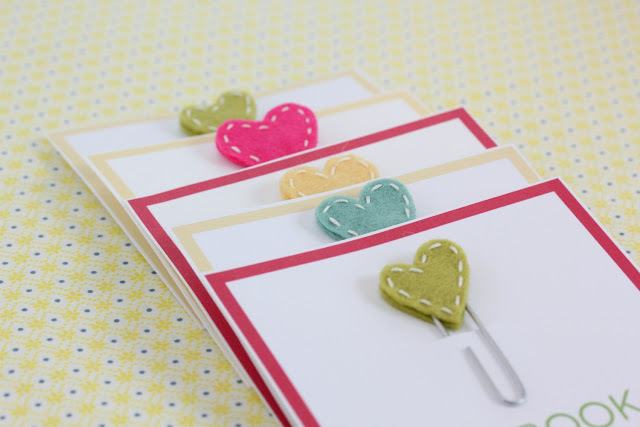 Put a small dot of glue on your plain heart and glue down the paperclip. 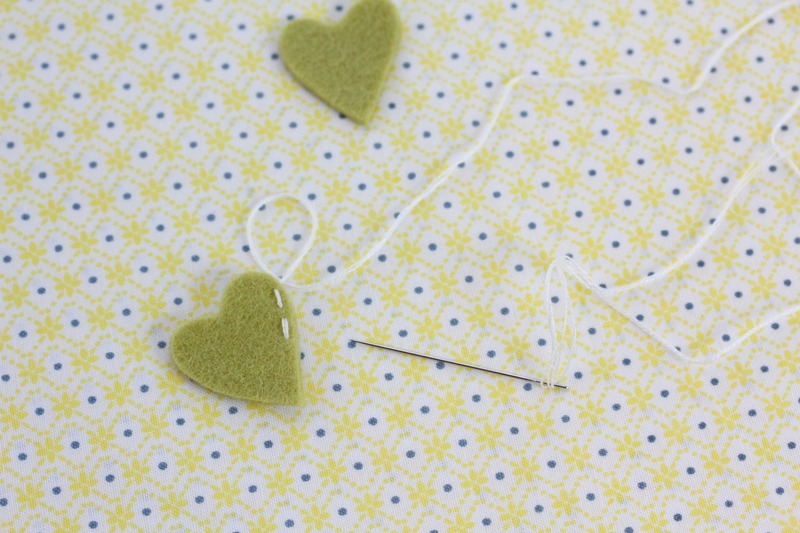 Add more hot glue over the surface of the plain heart, and very lightly press your stitched heart down on top. If you smash the two hearts together, two things will happen: hot glue will ooze out of the sides, and you will be able to see the outline of the paperclip. 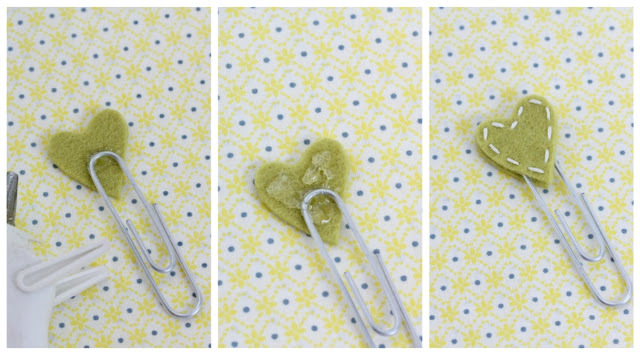 Pressing lightly keeps the surface smooth and pretty. You may have already noticed the sweet cards that these bookmarks are clipped to. 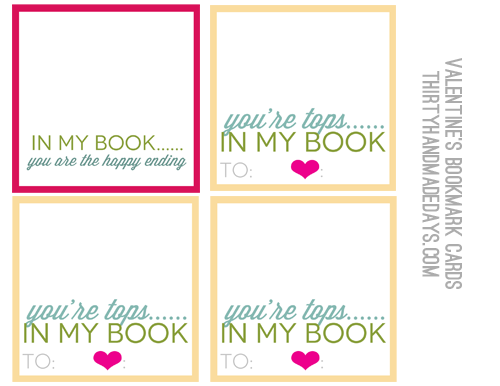 Since Photoshop tends to send me into fits of hysteria, I asked Mique to design a card for these bookmarks so that they can be given as Valentines. She, of course, came up with something fabulous with very little help from me. 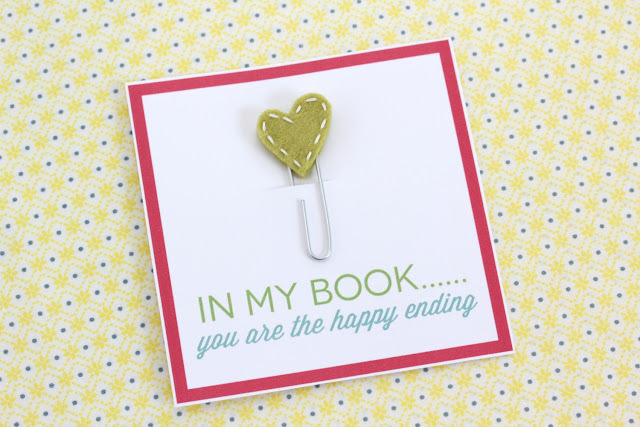 Download your Homemade Valentine bookmark cards for 30days subscribers and personal use only. Thanks!